Lovelies in my Life : Candy Stripes, Flannel and Sequins! Candy Stripes, Flannel and Sequins! 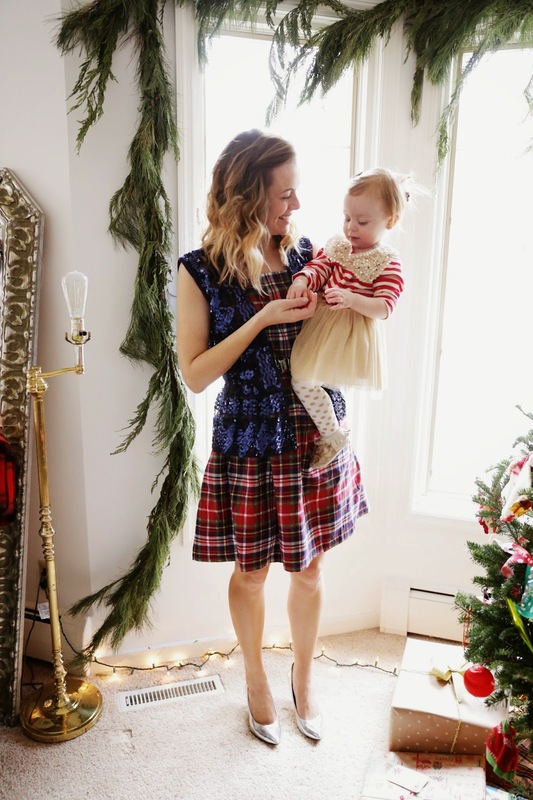 Another Christmas dress mama and mini look for you today, the 3rd installment featuring all the little miss' Christmas dresses (here are #2 & #1). Boy this has been fun! Daena did not need much convincing there and we were off to the races. Mine was big, so I added this sparkly vest and a belt to hide all the extra fabric and I think it worked. I'll add the pics we took together at the end of this post. And here we are all together and match-matchy. Thank you Daena for letting me steal your dress like that! Love you. Mwa. And my sweet peeps in a not-too-happy shot but looking very handsome.